Denby has been producing stoneware and pottery for 200 years. During this time the Derbyshire company has made items ranging from bottles and jars to plates and bowls. 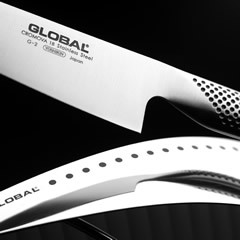 They produce a selection of different lines and designs, and they also collaborate with well-known designers and famous chefs to produce some of their designs. While the company is best known for its production of porcelain and china, they have expanded to include a broader cookware range. These are the items you use in the kitchen to prepare food, as well as those that you use to assist in the preparation and serving. It includes items like the cast iron casserole dishes, which come with a lifetime guarantee, as well as the non-stick bakeware, and even accessories like basting brushes and spatulas. 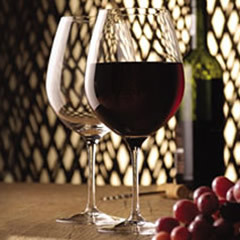 Buyers enjoy the same high quality that they have come to expect from the Derbyshire based brand. 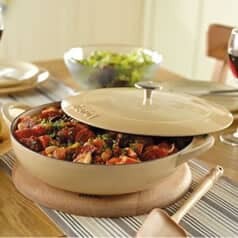 ECookShop not only stocks Denby dinnerware but also cast iron, stainless steel, and other high quality cookware from Denby. 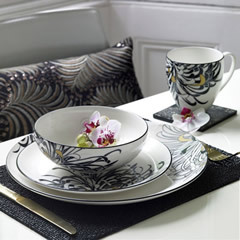 We ensure our prices are always competitive, and we offer regular discounts on Denby and other homeware brands. 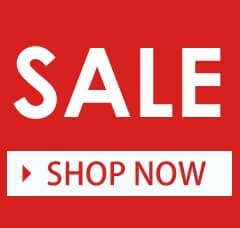 We also provide free delivery on all orders placed worth over �50. Feel free to contact us with any questions or start your order now to benefit from free delivery. When local entrepreneur William Bourne discovered a seam of fine clay in Derbyshire, he started to mine the material. In 1809, he tasked his son Joseph to utilise this clay and run what would become Denby Pottery. His son had acquired the same business acumen as his father and he quickly recognised the potential in patenting trademark designs like the unique salt glaze that the pottery used. Denby first became known for their manufacture of jars and bottles, before branching out to create beautiful and durable diningware. 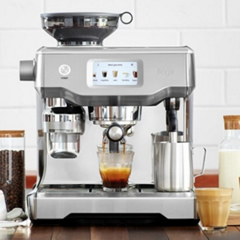 Years later, they have expanded even further, to offer a full range of products that are designed to get you from kitchen to table and back again. 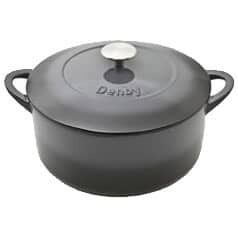 Although items like casserole dishes and saucepans may not use the clay that Denby is known for, all the items still benefit from the same high quality that the company is known for. Denby is still baed in Derbyshire and still uses a lot of the same glazing and production techniques that they have used for hundreds of years. Enjoy traditional, high quality cookware, from this same brand. 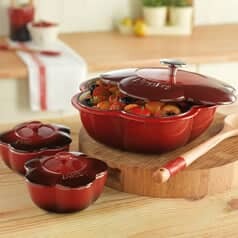 Cast iron casserole dishes provide lifelong companionship in the kitchen. Made from molten metal, the single piece of iron will last for decades, while the enamel surface ensures that food is prepared perfectly every time. The casserole dish is a surprisingly versatile cookware item. While its primary purpose is to prepare casserole, it can be used to make pasta dishes and some people even prepare roast meat in the dishes. 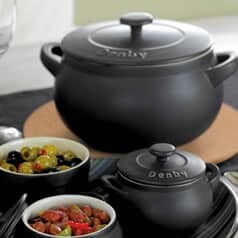 There is a selection of different sizes, as well as a host of colours, available for you to choose from, and every single Denby cast iron casserole dish comes with a lifetime guarantee. 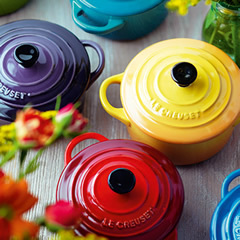 Choose from colours like pomegranate and jet, and decide whether you want a modest 20cm casserole dish, or a considerably larger 28cm dish. Another alternative is the shallow 30cm dish. Cast iron is chosen primarily for its durability. Cast iron cookware is handed down from generation to generation, and it is virtually impossible to dent, scratch, or otherwise damage. The cast iron pot can also be used on the hob and under the grill, as well as in the oven, and cast iron spreads heat evenly over the entire dish. The metal also retains heat, which means that your cast iron casserole dish is a great way to keep food warm, even if you have served it. Denby Pottery uses a vitreous enamel to coat the cast iron, which is easier to clean, prevents the iron from rusting, and it means that you can even put your casserole dish in the dishwasher to keep it clean and pristine. Bakeware has seen a surge in sales in recent years, especially following the popularity of TV baking shows. Whether you're a keen baker yourself, or you are looking for the perfect gift for a loved one that enjoys baking, Denby bakeware is a high quality, durable, and long lasting option. 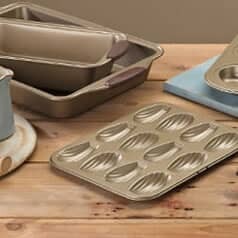 Bakeware items include Yorkshire pudding trays to help you finish the perfect roast dinner, cake tins that include unusual shapes like heart shaped cake tins, and silicone baking sheets which are easy to clean and evenly cook whatever you prepare on their surface. There are a number of benefits to using non-stick bakeware. The tins and trays that use this material do not need oil to prepare food, which means that you can cook healthier meals and snacks. The pans are also easier to clean, to wash, and even to dry and the solid coating is scratch resistant too which helps prevent damage and ensure that your bakeware continues to look as good as it performs. Denby also produces pans, offering a variety of sizes and pans that are as strong and functional as any other Denby made product. 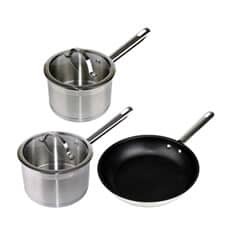 The stainless steel pan set includes three different sized pans; a 16cm saucepan, an 18cm saucepan, and a 24cm frying pan. These pans benefit from the same non-stick coating as Denby's bakeware products do, and they are made from high grade stainless steels and aluminium. The aluminium base offers lightweight heating and conducts heat very efficiently too. 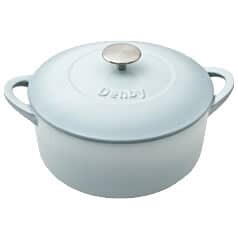 Stainless steel is a very tough material, and this means that your Denby pans will last. The 3 pan set includes a lifetime guarantee, which gives you peace of mind of the quality of the pans and the materials used. 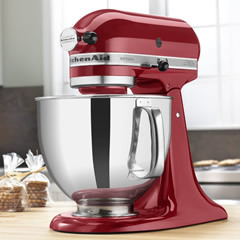 It doesn't chip or rust, and is scratch resistant too. Stainless steel doesn't leach into the food, either, which means that you can retain the taste of any dish that you prepare in your pans. 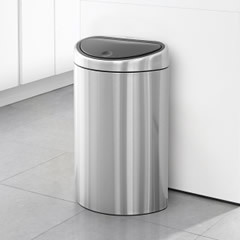 Stainless steel is actually quite easy to maintain, too, because you can use almost any type of material to rub and scrub the pan and it won't leave any marks or scratches. You can even buy Denby accessories, like spatulas and pastry brushes. These affordable utensils are strong and reliable, and they help you to make the most of the Denby cookware range that you invest in. Denby cookware is known for having the same high quality, durability, and functionality, as the Derbyshire based pottery's porcelain and china. The British designer has created multiple collections and sets, and they have expanded to incorporate bakeware, casserole dishes, and more. Many of the items, like the pan set and the casserole dishes, include lifetime guarantees too. 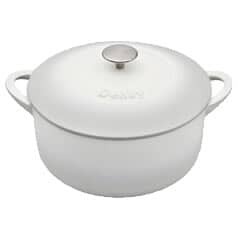 Buy your Denby cookware from ECookShop today and enjoy free delivery on all orders over �50. If you have any questions you can call in to Dawson's Department Store in Clitheroe, or pick up the phone and call to ask any questions about availability or queries about the products that we sell.